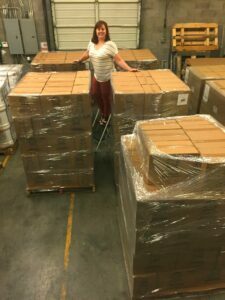 At Grab The Gold, we are honored to announce our donation of 46,000 Grab the Gold snack bars and over 2,500 pounds of natural peanut butter to Hurricane Harvey and Hurricane Irma victims. Grab the Gold partnered with Feeding Texas and Second Harvest Food Bank to freight the snack bars and peanut butter, valued at $142,000, to Texas and Florida hurricane victims. 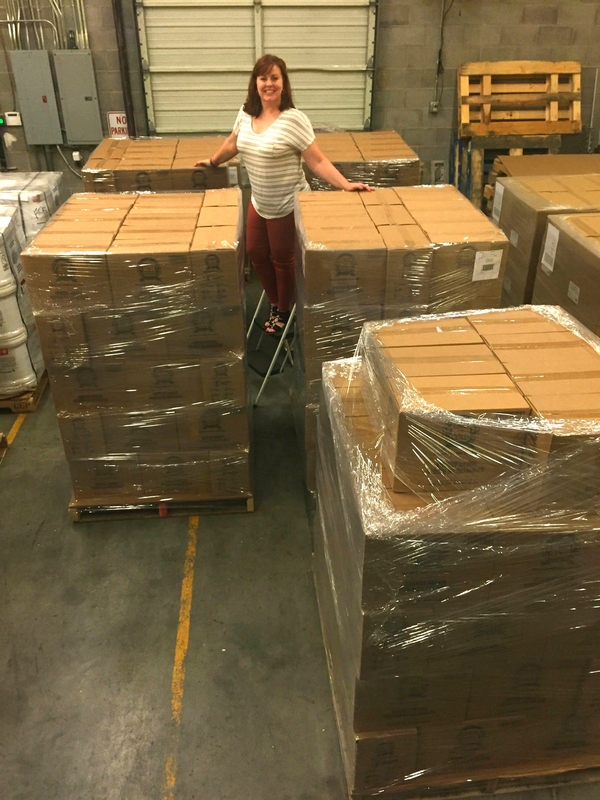 Danielle Ontiveros with 7 pallets of snack bars for donation to Hurricane Harvey and Irma victims. After Hurricane Katrina decimated New Orleans, Ontiveros relocated Grab The Gold to Tennessee after receiving an outpouring of love and support from the customers and community in the Nashville area. Grab The Gold’s success can be attributed to supportive people with big hearts who care. We give a special thank you to Feeding Texas and Second Harvest Food Bank of Middle Tennessee for distributing our donations to the food banks, shelters and areas most in need! Grab The Gold Snack Bar, shown with fresh fruit. Grab The Gold is a delicious chocolate peanut butter snack bar that provides Energy You Can Depend On with a scrumptious combination of organic, non-GMO, and gluten-free ingredients. People crave the taste and rely on Grab The Gold for instant and sustained energy during the day.